Overwhelmed by the amount of information on the nonprofit sector? Stay up-to-date with these publications first. They are the best, most reliable, and most popular magazines/newspapers/journals out there. Many of these publications appear in print, but they also have online versions. And many provide email newsletters and blog posts. High profile publications like these also offer an abundance of multimedia information, including books. webinars, and conferences. The Chronicle of Philanthropy has to be your first stop for the latest news about the nonprofit world. The Chronicle has served up news, fresh ideas, commentary, and resources for more than two decades. If you work for a nonprofit, it’s likely that your organization subscribes to the Chronicle. If not, they should. Subscriptions can be print (monthly) or electronic. Subscriptions are pricey, but if you subscribe to either version of the ​Chronicle, you have access to the website as well. The site is rich in resources, with archives, latest articles, job postings and a trove of special how-to content. The Chronicle also sponsors webinars (additional fees apply). Non-subscribers may browse some of the website content for free and sign up for their daily free email newsletter. It’s challenging to stay up with the nonprofit world without The Chronicle of Philanthropy. The NPQ is a good place to turn for the in-depth discussion of critical issues facing the nonprofit community. 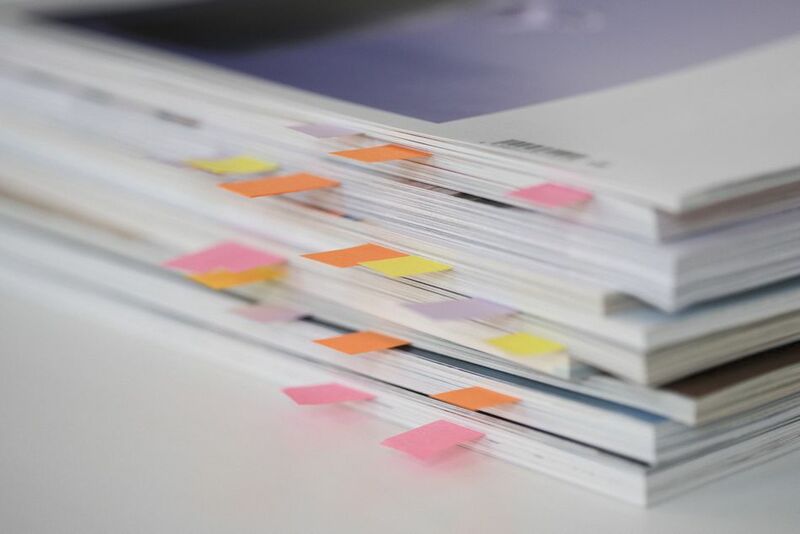 Very research-based, the longer publication cycle allows for editorial review and more detail on any given issue. The NPQ has been around for more than 15 years and comes from an independent nonprofit news organization. It covers a broad range of questions, from current events to public policy. NPQ should be on any nonprofit manager’s to-read pile. The NPQ doesn’t mind being disruptive, often airing opinions about the most pressing issues facing nonprofits. It is accessible and makes for excellent reading. The annual subscription gets you both print and digital versions. Non-subscribers can see the day’s news on the NPQ website and subscribe to two free newsletters: "The Newswire," which is a daily digest of news; and the "Editor’s Notes," that is a weekly message from the Editor. The NonProfit Times takes a "business" approach to the nonprofit world. You can subscribe to the print or digital versions or both. There is also a blog and tons of content right at the website. This publication, published 17 times a year, prides itself on being on top of nonprofit news and issues. It also features content by some of the foremost nonprofit experts. You can find job postings on the site, and it is famous for its reports, such as its annual salaries and benefits reports. These cost quite a lot, but you can get a national report or one tailored to your state. Summaries of the reports cost much less. Plus, when reports come out, the newspaper publishes articles highlighting their main features. The best way to keep up with the Times is through its free emailed newsletter and, because it is so fast moving, through social media, especially Twitter. The NonProfit Times also publishes a free print magazine called Exempt. It focuses on financial issues crucial to the management of nonprofits. The Stanford Social Innovation Review is an outstanding publication from the Stanford Center on Philanthropy and Civil Society at Stanford University. The magazine covers a broad range of nonprofit issues from a global perspective. If you or your nonprofit has an international focus, you should be reading this publication. But it is useful for just about anyone working in the philanthropic or nonprofit world. SSIR has a distinctly academic flavor with an overlay of business school language that can be a bit dense. But the content is sound, backed by research, and will likely stretch your vocabulary and thinking. If you are interested or involved in impact investing or social entrepreneurship, this publication is a must. A one-year all-access subscription to the SSIR gives you the print version (quarterly) and the digital. For subscribers, there is an archive of past issues, podcasts, events, and webinars. Non-subscribers may sign up for a free weekly emailed newsletter and browse the website for the considerable number of open access articles and blog posts. The Grassroots Fundraising Journal is all about fundraising, and it is suitable for smaller nonprofits. The Journal is published by the Grassroots Institute for Fundraising Training. Consequently, it has some of the best ideas for development professionals in smaller organizations, especially social justice nonprofits. It’s hard to find material specifically tailored to smaller organizations, so this publication really fills the bill. It comes out six times a year and is quite affordable. In fact, the Journal has a sliding fee system so that the size of your nonprofit determines the subscription fee. The Journal can also be found at your public library and the Foundation Center’s Cooperating Collections around the US. Subscribers have full access to the archives of the Journal, which is perfect for research. Nonsubscribers can sign up for a free emailed newsletter. Published by the Society for Nonprofits, Nonprofit World Magazine is published quarterly in print. You get the magazine when you join the Society plus a whole lot of other benefits. The Society and magazine focus on leadership and nonprofit management issues. You can see a PDF version of an older issue of the magazine to determine if it would be useful to you. If you must deal with insurance, decision making, strategy, fundraising or technology, the magazine may be quite worthwhile. The Society for Nonprofits offers a lot of benefits to members including training, free job listings, and discounted services and products such as insurance. Advancing Philanthropy is a print and digital magazine published by the AFP (Association of Fundraising Professionals). If you are involved in fundraising, you should belong to the AFP. There are local chapters just about everywhere that meet monthly. Plus, the association holds a national meeting once a year. Advancing Philanthropy comes out five times a year and is free to the highest level members of AFP. The digital version goes automatically to Collegiate, Global, Young Professional, and Small Organizational members. If you are not a member of AFP, you can still subscribe to the magazine. Alliance is a London-based publication, but it is international in scope. It covers philanthropy and social investment. Subscribers can elect the printed version (yes, they do ship to the US) or the electronic version. There is an app for phones and tablets. The magazine is published quarterly. Subscribers can pay in various currency, including the US dollar. Alliance is free to certain people working in the nonprofit field in some countries. You can apply for this on the subscription page. Alliance covers the globe with an emphasis on economic issues as they pertain to social entrepreneurship, international development, and philanthropy. Although the National Council of Nonprofits does not produce a magazine, we would be remiss if we did not include it on this list. That’s because the Council is such a valuable resource. Every state has an association for nonprofits that is affiliated with the national council. You can locate yours on the Map at the National Council’s website. For instance, in Arizona, the affiliate organization is the Alliance of Arizona Nonprofits. In Maryland, it is Maryland Nonprofits. All nonprofit professionals should join their local nonprofit association. These are usually organizational memberships, so check with your nonprofit first. These affiliates of the national organization have information about your state government, available grants, training on grantsmanship, and more. Each of them sends out emailed newsletters and bulletins. To keep up with national nonprofit issues, you can subscribe to the National Council’s two newsletters. One deals with advocacy, and the other has a fundraising focus. You can sign up for both very quickly. There is also a job board and many resources. If you want to stay up with the best nonprofit advice from the best-informed consultants, NonProfitPro should be on your “check frequently” list. The website alone is a trove of articles, continuously updated, on all aspects of nonprofit management. But this site’s strength is fundraising. Some of the content at NonProfitPro is original, by staff writers, but much comes from the leading professionals in the field. In fact, if you can write great content about nonprofit issues, this site should be on your list of places to send your guest articles. You can also subscribe to a 10-month print magazine that has in-depth articles on the latest trends, controversies, and research that nonprofit pros need to know about. Don’t miss the many webinars, conferences, and video content that NonProfitPro provides for reasonable prices or even for free.